That figure comes from a recent report by the State Food and Drug Administration. The investigation found that many people will look for oil discarded by restaurants and kitchens, harvest it (often times from sewers), and then resell it for additional use. Obviously, the practice has provoked health concerns. 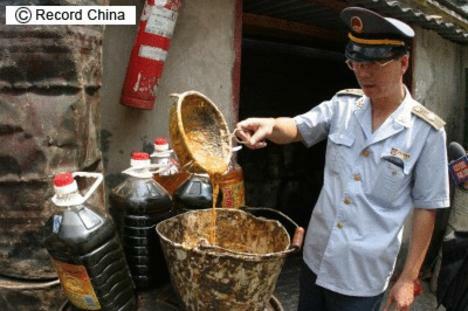 State TV recently aired a report showing a factory in Shanghai where “waste” oil is stored. Apparently, there are no laws against storing oil like this. You can check out the report here. ← Want Some Twitter Wine?